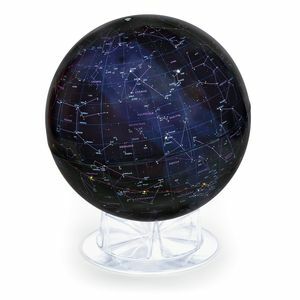 New from Sky & Telescope, this Celestial globe combines Sky & Telescope’s exclusive constellation patterns with an “inside-out” perspective that closely matches what you see in the sky. More than 2,900 stars are plotted to magnitude 5.5, with double and variable stars indicated. 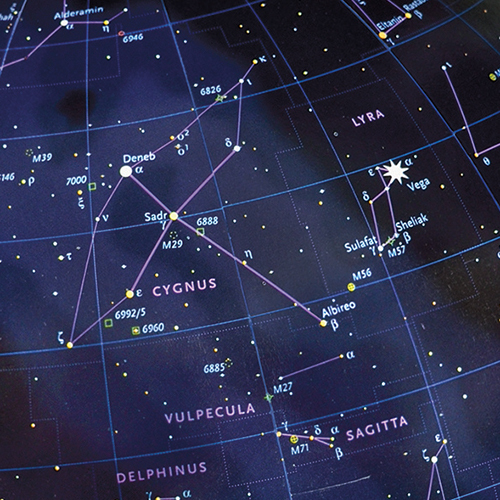 Labels identify nearly 300 common star names and more than 550 Bayer (Greek-letter) star designations. Also included are 109 Messier and 109 Caldwell deep-sky objects. 12” diameter with acrylic pedestal base and information sheet.